The Tulsa Twisters are a new Semi-Professional Men's Basketball team based in Tulsa, Oklahoma. 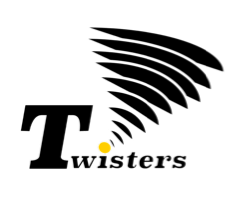 The Twisters roster consist of 12 Semi-Professional Male Basketball players minimum age 18 years old, who play ABA basketball to develop their skills, compete on a professional level, and to attract national and global attention for the next level of professional basketball. This team will represent Tulsa, Oklahoma with professional dignity, pride and honor. Twister players also volunteer their off time to mentor, read, help serve pre-school and elementary aged youth with an effort to change the minds and outlook of our future generation of leaders through a sports entertainment environment. We are committed to helping be a positive influence in the reduction of future violence and illiteracy problems in Tulsa, Oklahoma and the surrounding areas. The Twister's supporting Not-For-Profit foundation is called "The TwistUp Foundation. The mission of TwistUp, is to provide at-risk youth the opportunity to interact in Sports education in programs structured with the American Basketball Association (ABA) and Amateur Athletics Union (AAU). We are enlisting current local organizations, Kiwanis Club, Boys and Girls Clubs, YMCA/YWCA to help bring awareness to youth empowerment. The Twisters will be hosting youth basketball academies throughout the year.